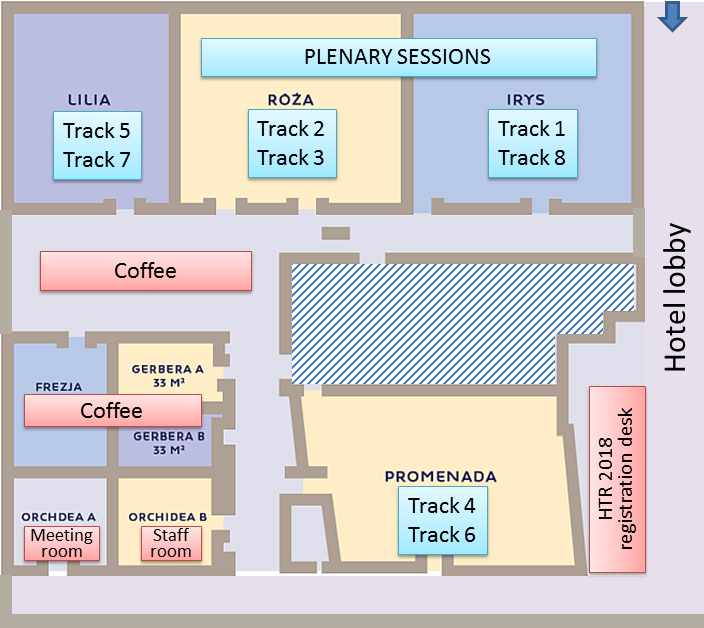 Plenary sessions will be in joint rooms RÓŻA+IRYS. Parallel sessions will be in rooms LILIA, RÓŻA, IRYS and PROMENADA. See "Conference schedule" for details.